As we all know, chemicals often have high instability, and they are sometimes corrosive, toxic or radioactive. The radioactive chemicals are stores in very thick concrete storage bin, and so does the highly toxic chemicals. However, for the common slightly corrosive bulk chemicals, spiral chemicals steel silo is a good choice, because the steel silo is made of highly galvanized carbon steel sheet. And this kind of spiral storage silo has no bolts, thus ensuring good airtightness, which makes it very suitable for storing the dry bulk chemicals with high volatileness. 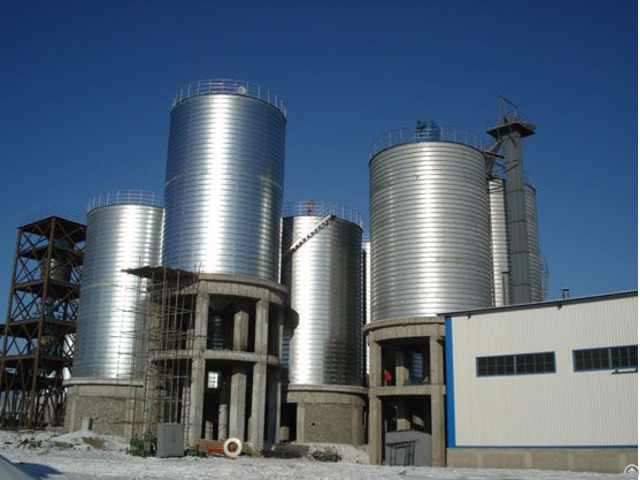 Posted By: Flyer Steel Silo Engineering Co., Ltd.
Business Description: As a leading company of China steel silo industry, Anyang Flyer Steel Silo Co., Ltd. is Specializing in manufacturing spiral steel silo with 10 years experience, and has passed ISO9001:2008 certification . Equipped with superior spiral steel silo equipments and technical expertise, Flyer is specialized in research, development and design of all kinds of material storage technology, as well as the sale and maintenance of other related products. Our product portfolio covers various industries, such as construction materials, chemicals, grain and oil, slag and fly ash and sewage treatment as well. From the research and design to project construction, pre sale consultation to after sale service, Flyer provides you with an authentic experience of superior Flyer Quality through professionalism.